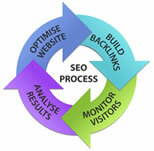 Search Engine Optimisation (SEO) is a crucial service for your website. 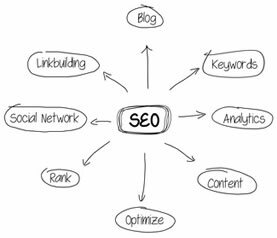 SEO employs a range of techniques and is critical to the success of any web site. A good search engine listing is essential if you want to maximise the number of visitors your site receives. Having an attractive, informative, flashy website could be pointless without having an effective SEO service to drive your site. The purpose of SEO is to reach potential customers who might not already have seen your website. People who are aware of your company or organisation should already know how to find you. With effective SEO we can promote your business or service, making it more likely to be discovered by new customers searching for your products or services. "Luxury Self Catering in Scotland! We offer luxury self catering accommodation, for a luxury self catering holiday. Our luxury self catering holiday cottage sleeps up to 6 people, which is suitable luxury holiday accommodation for either families or large groups who enjoy luxury self catering holidays". As a general rule of thumb, aim for having at least 300 words of text on each page of your website for better results. Links are very important as this directs more traffic to your site. If possible try to get a link to your site from other web pages, and if you use social networking sites such as Facebook or Twitter, create a link through them as well. Be sure that the links to your site contain keywords or phrases. Images - if you have captions with your images, make sure they are relevant. A short description of an image in the name is miles better than having the default "DSC1902" from whatever your camera may have named your picture. Web site statistics are much more than simply a list of "hits". You can use your web site statistics to continually improve your web site listing on the search engines, and to help your customers easily find your site. Of all of the features in the statistics area (only a small sample are listed above), perhaps the most useful are the last two mentioned, often called your "Referrers". The beauty of the referrers section is that it allows you to see which page someone was on, immediately prior to visiting your site. For example, you may have a link to your web site on another web site. Checking the referrers section in your web site statistics allows you to see how many people have come to your web site, by clicking on that link. Over time you will start to see which links are providing you with the most traffic and you may decide, as a result of that information, to increase your advertising in those areas. Similarly, if your site is listed on the search engines, you will be able to see which search engines are providing you with the most number of visitors and you may decide to change your marketing strategy based on that information. Your web site statistics are a very useful tool so be sure to regularly check them and change your website accordingly. If you would like further information on the statistics package, please contact us.